The undefeated Vijender will take on Amuzu in a double title fight. 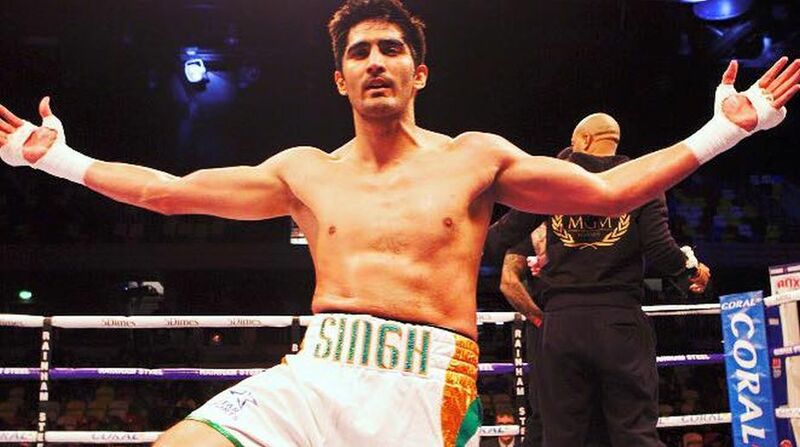 Former Commonwealth Championships medallists Amandeep Singh and Sunil Siwach will be among the competitors in the six all-Indian undercard bouts of Vijender Singh’s showdown against Ghana’s Ernest Amuzu on December 23 in Jaipur. The undefeated Vijender will take on Amuzu in a double title fight in which his WBO Asia Pacific and Oriental Super Middleweight belts will be on the line. Amandeep (Bantamweight 55.5kg) will take on Manoj Kumar from Punjab and Kuldeep Singh (Heavyweight 93.4Kg) will face Amrinder Singh from Haryana. The other boxers joining the fight card will be Pardeep Kharera, Kuldeep Dhanda, Dharmendra Grewal and Asad Asif Khan. The 27-year-old Amandeep made his professional debut in 2016 against Sunil Sharma in Delhi. He has fought two bouts so far and won both of them with the second one being a knockout against Pakpoom Hammarach of Thailand. “I am fully prepared for third fight against Manoj Kumar. Manoj is new to pro boxing and I am sure I will knock him out in the first round in his debut game,” Amandeep, a Commonwealth Games bronze-medallist, said. The 21-year-old Kharera will face debutant Nikhil Sharma from Goa in a six-round contest in Welterweight category (66.7Kg). Dhanda, 27, will face 24-year-old Fateh Singh from Delhi in a four-round contest in the Lightweight (61.2 Kg) category. In another four-round fight for Super Bantamweight 61.2kg category, Asad Asif Khan from Kolkata will take on Sunil Siwach.